By 2020 18% of children in Britain will live in absolute poverty. Two thirds of families living in poverty are in work. Nearly one million people work on zero-hour contracts. These are the facts that are printed on the front cover of the book The New Poverty by Stephen Armstrong, who has gathered data from various studies and reports and integrated this with the real-life stories of people living through this ‘new poverty’. One such story is that of Clare Skipper, who could not get an NHS dental appointment or afford the bus fare to the only emergency clinic in Bradford. She had been in agony for weeks. Her father was also suffering from toothache without access to treatment. The pair ‘met in her garden shed, drank whisky and pulled their teeth out with pliers’. Her father’s tooth was successfully removed but hers broke. Armstrong points out that health inequalities of this kind have grown so much over the past few years that a number of charities which were originally set up to provide primary care in the ‘developing world’ are now operating in Britain. One such charity is DentAid ‘which offers portable dental surgeries to struggling communities in Uganda, Malawi, Cambodia and Romania’ and which set up a mobile van in Britain in 2015. It was a DentAid clinic that Clare Skipper visited to remove the remaining part of her tooth. Armstrong relates this to government policy, explaining how changes to the way dentists are paid discourages taking on longer courses of treatment. This leads to what Ian Wilson, one of DentAid’s dentists, calls ‘supervised neglect’. DIY dentistry is becoming commonplace in the poorest parts of Britain. Erika, a care worker from South Yorkshire, was forced - due to strict 15-minute time-limits imposed on house visits by for-profit care companies - to leave an elderly woman with dementia in her soiled nappies because she simply did not have time to provide the care needed. She described it as ‘the greatest shame of my life’. 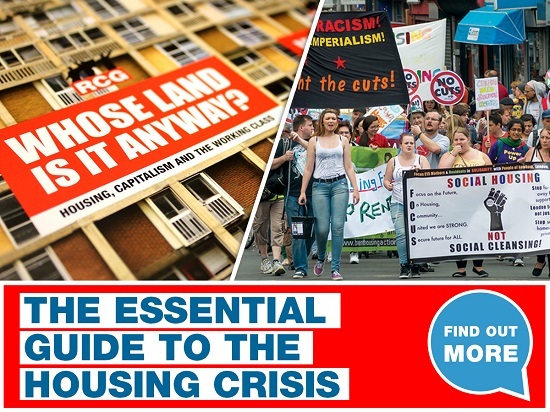 The book recounts the effects of savage benefit cuts, precarious work and deteriorating working conditions and rising rents, illuminating how they are laying the basis of ‘the new poverty’. It also recounts how formerly prosperous sections of the population are far from immune. Roger Outtrim, in his seventies and retired from the IT industry, was ‘looking forward to a leisurely retirement’, but because his children stood no chance of getting onto the property ladder without his help, he took out an ‘equity release mortgage’, effectively selling his house while he still lived in it. Roger now has no money left to fund care if and when he should need it. According to the Equity Release Council, the total value of equity release lending reached £2bn in 2016: an indication of the growing threat of proletarianisation for many of the children of the middle class. One of the great strengths of this book is the way it unflinchingly recounts the human cost of the ‘new poverty’, giving names and real stories to the statistics. It forcefully argues, and illustrates, that poverty is ‘systemic’. Its criticism of films like I, Daniel Blake for telling ‘black-and-white narratives’ of ‘achingly innocent victims’ which simply reinforce the distinction between ‘deserving’ and ‘undeserving’ poor are a welcome admonition to those journalists and campaigners who remain tied, however unconsciously, within that conceptual framework. Indeed, Armstrong is clear that ‘sweeping systemic change in the structure of the economy’ is at the root of the growing poverty that he describes. The book’s major weakness, however, is a lack of insight into why this ‘sweeping systemic change’ is happening. In a passage on rent-to-own purchases (a contemporary equivalent of the old hire-purchase), for example, Armstrong points out that the ‘economy has been restructured so that a single mother on benefits buying household goods on credit can be generating a much higher profit rate for lenders than a well-paid worker with a steady job’. At other points in the book, too, he points to the parasitism that increasingly characterises Britain’s imperialist economy, such as the prevalence of employment agencies and umbrella payroll companies. He does not, however, touch on the essence of this phenomenon: that capital is finding itself less and less able to find profitable outlets for investment, and in these conditions of crisis, parasitism and speculation increase necessarily as investors scramble to lay claim to surplus-value produced elsewhere or to surplus-value yet to be produced. A failure to grasp the nature of the capitalist crisis is connected to the book’s second major weakness: the lack of a clear political message. Armstrong admits as much himself, pointing out that he is a journalist and ‘not an academic or a full-time poverty researcher’. His strength and his responsibility, he says, is to meet people and tell their stories. He writes of various charity and community organising schemes that ‘these are individual stories, not a grand ideological manifesto or set of solutions – but taken together, they offer a sense of hope and suggest a different way of thinking’. The question of what that ‘different way of thinking’ might need to be is not addressed. The New Poverty is a useful book. It tells dozens of moving stories of ordinary working class people, and some who were once fairly affluent, impoverished by economic forces and state policies over which they have no control. In doing so it puts paid to any notion that the people at the sharp edge of ‘the new poverty’ are to blame for their own circumstances. But it must be recognised that the new poverty is the old poverty, a return to the traditional conditions of the working class under capitalism, a crisis-prone and decaying system that must be overthrown and replaced with socialism if humanity is to be liberated from poverty once and for all.